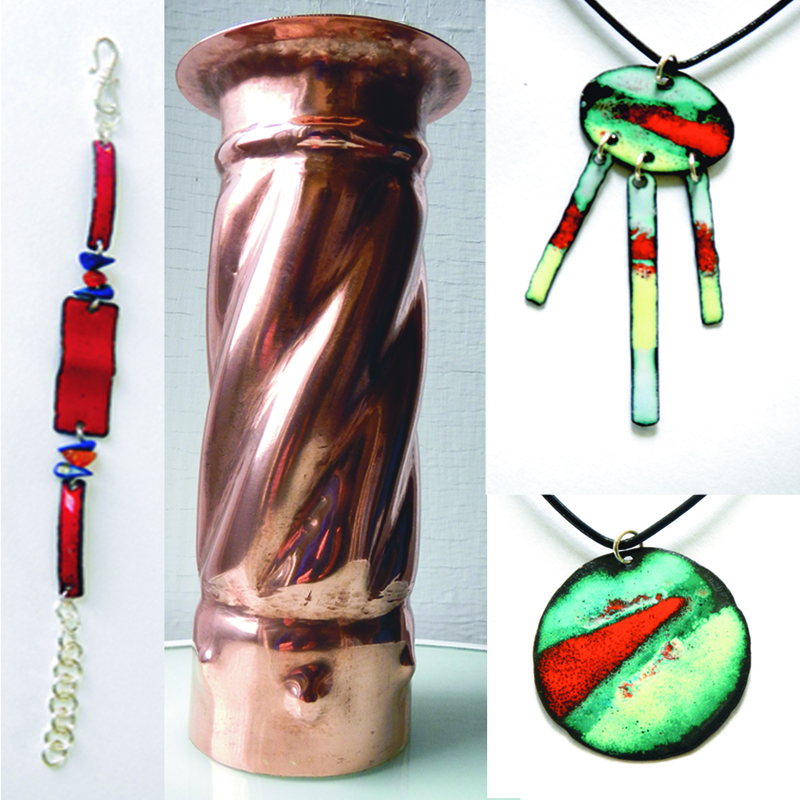 My silversmithing and copper enamel work reflects the natural world that surrounds me in Bear River, Nova Scotia. I have always felt a need to create using organic or mechanical elements. For instance, when my hands move sand on the beach and rearrange stones, sticks and water I am observing nature and the shapes and movement that takes place. Those observations inform my metal shapes of my copper enamel pieces as well as the texture of the enamel surface. I am inspired by the Arts and Crafts, Gothic, Bauhaus, Celtic and Art Nouveau movements and their approaches to design and materials. Cutting and shaping stones, and forming metal pieces is an expression of passion for me. Using my creativity and imagination I am guided to combine and transform powdered glass and metal into a new art form. I grew up in Ontario and worked in the field of design and typography for most of my working life. Parallel to this, I studied lapidary and silversmithing and honed my skills in these tactile and ancient arts. I owe much thanks to my art teachers who encouraged my creative pursuits throughout my life. In the last 30 years I’ve cut and faceted gemstones, thanks to my mentor Al Manestar and the North York Faceting Guild in Toronto. 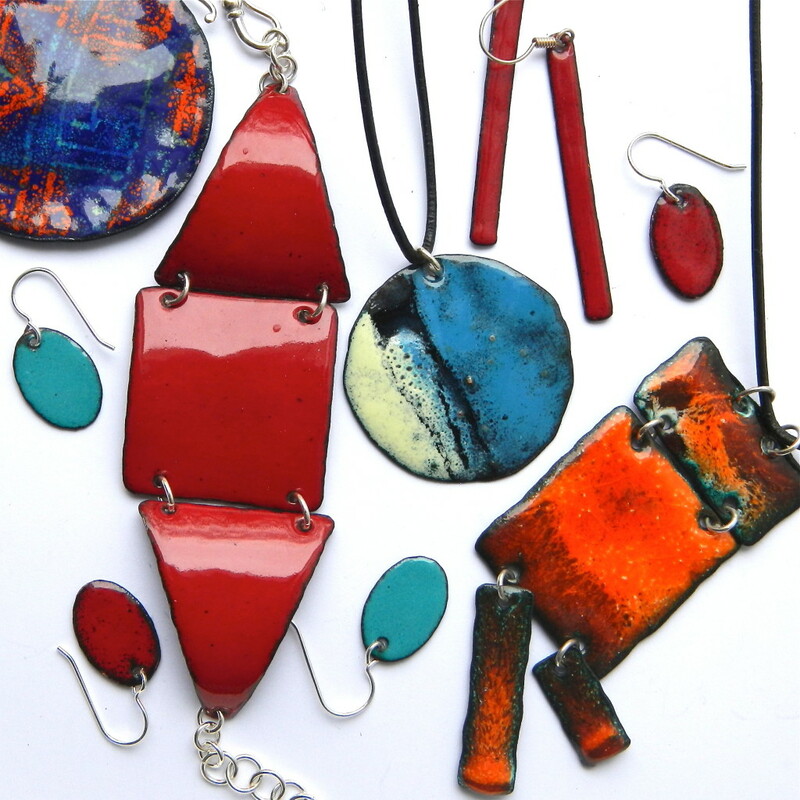 I started my fundamental metalsmith training at George Brown College in Toronto in the 1990’s. I took metalsmithing workshops and classes in hollowware with master metalsmiths Ross Morrow, David Ivens and Brian Clarke. Presently I am a member of the Metal Arts Guild of Nova Scotia and the NSDCC (Nova Scotia Designer Crafts Council). In 2007 I moved to the village of Bear River, Nova Scotia with my life partner, Flora Doehler, a painter. Together we create art in our Green Willow Studio. We are founding members of the Bear River Artworks Gallery and the Bear River Artists’ studio tour. More work can be viewed at my home studio in Bear River.